Earlier today it was announced that Australian international cricketer Phillip Hughes (ESPNcricinfo profile here) had sucumbed to injuries suffered two days earlier while playing for South Australia against New South Wales in the Sheffield Shield (Australia’s domestic First Class cricket league). 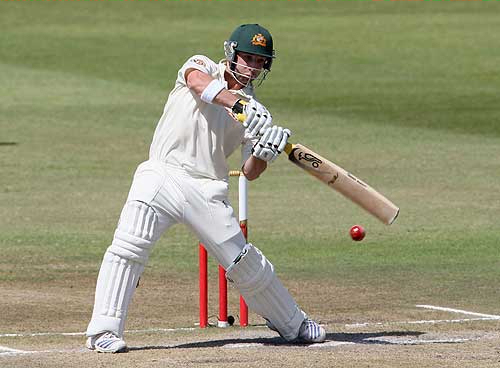 Hughes was struck by the cricket ball somewhere between the top of his neck and base of his skull. He was wearing a protective helmet as most cricketers do nowadays, but these do not cover every angle from which the head can be hit. Without getting into morbid details, Hughes was very unlucky, being hit in exactly the wrong place in exactly the wrong way; cricket is a dangerous sport, but mercifully fatalities are rare. Hughes is only 20 and has burst onto the international cricketing scene in a matter of months. Before the current tour to England, he had played just three Tests (the name given to five day cricket matches between different countries). However, these were all against South Africa, one of the strongest teams in the world at present. In his six innings (a team generally bats twice in a Test Match) he had made 415 runs at the eye-catching average of 69.16 [number of runs / (number of innings – times not out)]. By way of reference, this is higher than any other player in either of the current Australian and English teams. While to play an international sport for your country is the pinnacle of athletic success, Hughes was not able to fully establish himself at the highest level, though it is possible that – absent these tragic events – he would have had a recall to the Australian team in the near future. His playing record will now sadly show that he played just 26 Test Matches and 25 One Day Internationals. It is however arguable that his best days in cricket were ahead of him. Sometimes batsmen who bloom early, as Hughes did, have a second and more sustained later flowering based on a better understanding of their own game and greater experience. Of course any life cut short is a tragedy, leaving questions around what the person could have done if granted more time. However, when someone with demonstrable talent, a clutch of achievements and the likelihood of more to come, has their story end too early it does lead to a special type of sadness, coupled with musings about what could have been. Having said that, and even if there is a theme of potential not being wholly fulfilled here, it is worth thinking about just how few people are good enough to represent their country at a sport. Compared to the general population, Hughes had a very special talent, even if he will now not have the opportunity to display this over a longer career. I didn’t know Phillip Hughes, but it is part of the life of an international sportsperson that we all want a part of them; be they the “heros” who play for our team or the “villains” who represent the opposition (the quotation marks in both cases are wholly intentional). Part of the appeal of sport is its vicarious nature. Having played and watched cricket for years and having both suffered and seen injuries during my playing years, I suppose I do somehow feel close to what has happened to Phil. Perhaps this is just part of the general human need to connect, perhaps we all want to augment our own stories by borrowing from those of other people. In any case, the news of his untimely death while playing my chosen sport has touched me, touched me enough to write about it. Seldom will associates of a departed person, have bad things to say about them, particularly when the person’s life has ended so suddenly. However it is very noticeable that, amongst the many tributes from the cricketing world, virtually everyone has taken the time to single out what a good person Phillip Hughes was off the field. While his passing is very sad, both for onlookers like me and in a much more real sense for his family and friends, these comments are testament to Hughes the man and not just the sportsman. While the ending was horrible, teammates have said that cricket was the biggest part of his life and – recognising the overused cliché – he died doing something that he loved. I hope that this fact and the kind words said about Phil by everyone who knew him bring some comfort to his family circle. In closing I’d like to also spare a thought for another person very much affected by these awful events, up-and-coming New South Wales fast-medium bowler Sean Abottt (ESPNcircinfo profile here). 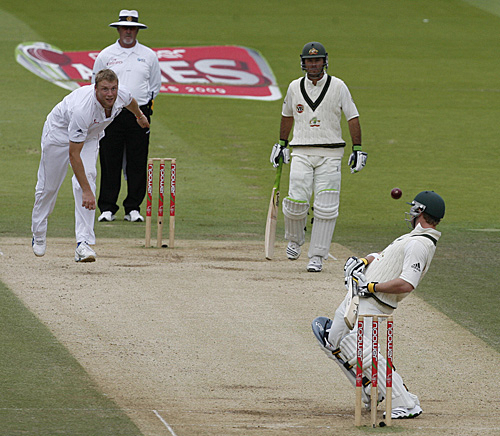 It was Abbott who delivered the ball which inadvertently led to Hughes’s demise. It has been good to see the cricketing world rallying round to support Abbott as well, I suspect he will need a lot of help in coming days and months. In my earlier article, Accuracy, I compared the need for precision in cricket reporting to the verity of different types of breaking news on twitter.com and closed by stressing the importance of accuacy in Business Intelligence. It’s generally all in a day’s work for me to make such connections; yesterday’s piece linked rock climbing, the car market, Business Intelligence [again] and IBM’s proposed acquisition of SPSS. I am going to lay the blame for me continuing to blog about cricket firmly at the door of @JohnFMoore, who made the fatal mistake of encouraging me. However the current article will be rather shorter in duration than my last work in this area. Aside from John, what has moved me to write today was the news that wunderkind opening bastmen Phillip Hughes has been dropped from the Australian team for the 3rd Test Match against England which starts today in Birmingham, England (inundated pitch allowing). Hughes built on these achievements by spending the early part of the season playing for English cricket team Middlesex. For them he scored 574 runs at a stratospheric average of 143.50. England cricket fans were beginning to be very, very worried at this point. However, as can happen in many sports, some one can make an initial impact and then have their performances return to average or below. This has proved to be the case with Hughes who in three innings in the current Test Match series has scored 36, 4 and 17 for a rather less stellar average of 19.0. More important than these bald figures is the fact that the England bowlers seem to have detected and then exploited a deficiency in Hughes’ technique. It could be argued that Hughes clearly has immense talent and potential and the Australian selectors have been overly hasty in dropping him after two poor matches. Such things can severely dent a player’s confidence and I hope that he can rebound from this set-back. 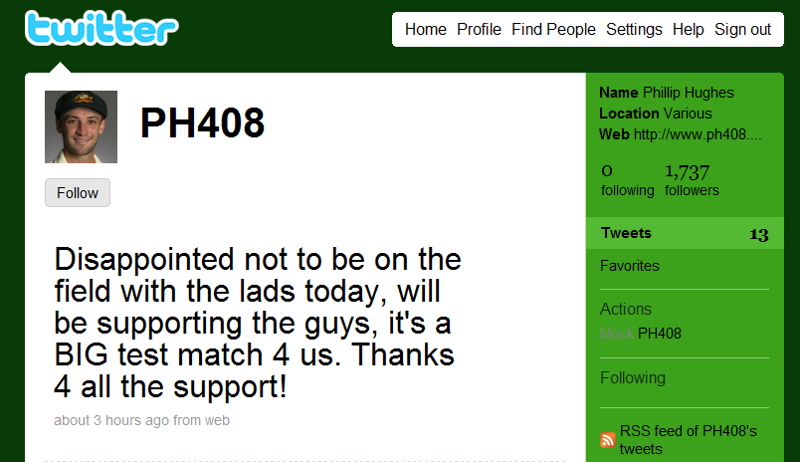 However for me the real story is not the unfortunate Hughes being dropped but the manner in which it was announced. The general media had been speculating about what might be Hughes’ fate for this match ever since he failed twice in the preceding game. Articles suggesting that he may have been dropped began to appear last night, but his tweet preceded any official announcement about the make up of today’s Australian team. A case of Twitter beating “old media”, of public figures interacting with the rest of us via social media and of nothing beating getting news straight from the horse’s mouth. The two images of actual cricket matches above are drawn from the excellent cricinfo.com web-site and are copyright Getty Images and AFP respectively.